Just like you keep your interiors clean, the exterior of your property needs cleaning too; not just to maintain its beauty, but also to keep the structural integrity intact. This is particularly true when it comes to your roofing system. Left ignored, dirty roofs can cause costly structural damage. Artisan Window & Gutter Cleaning is the roofing cleaning company that has the skills and equipment to clean your roof with great results that will enhance both the appearance and durability of your roofing system. Rely on our experts to transform your roof and make it look like new again - at a fraction of the roof replacement cost. 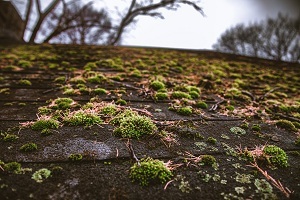 With years of experience in the roof moss removal business, we have the expertise and equipment to restore your roof's appearance. 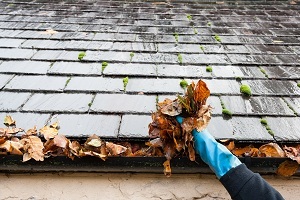 Why Choose Us as Your Roof Cleaning Company in Wallingford? 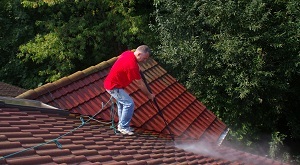 Cleaning a roof can be a difficult and potentially dangerous task. That is why it should always be left to a professional roof cleaning company in Wallingford. A professional roof cleaning company will have the training and equipment to quickly and efficiently clean your roofing system, while DIY cleaning attempts usually end up causing even more damage to a roofing system. Protect your roofing investment with professional services from our roof cleaning company serving Wallingford. As a full-service roof cleaning company, we provide our roof cleanup services for both residential and commercial clients. If you would like to schedule our roof cleaning services in Wallingford or its nearby areas, feel free to call Artisan Window & Gutter Cleaning at (206) 607-6057. We offer FREE estimates.